As the cannabis industry continues to evolve, and the various health and recreational uses for the plant become more defined, the goals of cultivators evolve as well. As our understanding of cannabinoids and terpenes expand, the goals of individual growers become more specialized. In times past, the main objective of growers was high tetrahydrocannabinol (THC) potency. This is still the desired end result today for many growers, but definitely not all, and there are an increasing number of factors to consider. Today’s cannabis grower may be just as interested in high cannabidiol (CBD) potency as THC potency. THC and CBD are the two cannabinoids that drive the cannabis industry and its products. CBD consumption does not result in the well-known marijuana “high” that THC causes, but it holds great promise for numerous medical applications. As our knowledge of the myriad benefits of CBD continue to grow, an increasing demand for CBD products grows exponentially. Not only does CBD relieve chronic pain, but there is evidence that it aids childhood epilepsy; reduces anxiety, stress, and depression; helps fight antibiotic-resistant bacteria; reduces inflammation; helps minimize signs of schizophrenia; helps skin disorders and heart health; and slows the growth and proliferation of cancer cells. For these compelling reasons, a large and increasing demand exists for CBD flower and extracts. When considering CBD concentrates, it’s important to remember that CBD oil comes in two forms: hemp oil and CBD oil. Hemp oil contains little, if any THC, while CBD oil from marijuana strains high in CBD contain more CBD than THC, in varying ratios. Cannabis strains high in THC still rule the cannabis space and will be our main focus here. With elite strains now containing THC levels of 30 to 40 percent or higher, today’s cannabis connoisseurs enjoy a more potent experience compared to years past. In other words, it now takes less cannabis to reach the desired effect. Whether it’s for medical or recreational use, marijuana has never been so potent. Just like CBD, THC has numerous medical benefits. 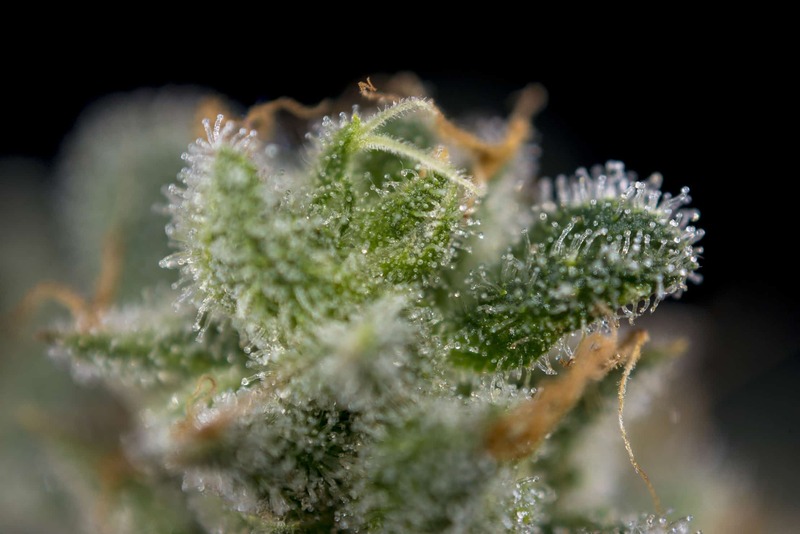 Although additional research will unlock the full scope and reasons why THC aids people with various ailments, there is ample evidence that it provides relief for many symptoms. Medical benefits include general pain relief; appetite stimulation; and relief from nausea, insomnia, and inflammation. There is also evidence that THC is an antioxidant, bronchodilator, and muscle relaxant and that it helps protect the brain, providing relief from post-traumatic stress, among other things. In many ways, the basic principles for increasing THC potency largely mirror the methods used to increase overall yield. These days, many people favor a strong terpene experience over maximum THC levels. The motivations of individual cannabis growers and their goals when growing are diverse to say the least. To get started with best practices to coax the highest THC levels possible from your grow, consider the following factors and growing methods. These factors can influence overall plant health, size, terpenes, and THC levels. To maximize THC, genetics are a huge factor, and nothing else ranks higher in importance. Regardless of whether it’s a sativa or indica, all strains are not created equal, and both sativa and indica have specific strains renown for THC potency. These are the strains to focus on when high THC is the primary goal. Strain that deliver a knockout punch include Ghost OG, Trainwreck, Girl Scout Cookies, Gorilla Glue #4, Chemdawg, Bruce Banner, White Fire OG, Bubba Kush, and Irish Cream. There are plenty of other potent strains to add to this list, and new contenders enter the market on a regular basis. Remaining aware of new cannabis cultivars is part of being a serious grower. Do research and speak with others in your field. Regardless of which strain growers use in their quest for high THC, they must do their part with every other aspect of growing to accomplish their goal. Even high-potency strains need meticulous care to coax out the best possible results. Only work with clones to ensure you have consistently good genetics. Growing from seed is less consistent. Growing from seed—even with the most stable strains—often means growing a few different phenos, and each of these phenos will vary somewhat with regard to plant structure, and terpenes and cannabinoid levels. Assuming you’re growing indoors, provide proper lighting, ensuring the lights are at the correct distance from the plants at all stages of growth. Whether you use LED, metal halide, or high-pressure sodium, be sure you have the correct number of lamps. Use mylar or other reflective material on the walls of your grow room to maximize illumination. Replace your bulbs after a couple of grows, even if they haven’t burned out, because light quality diminishes as lights age. Use proper pots with good irrigation and draining functionality. The growing medium is important as well, using fresh soil, coco fiber, perlite, and other substances that will encourage rapid root grow, and make sure you have large enough pots to prevent the plants from becoming root-bound and cramped within their growing vessels. Providing top-quality fertilizers and soil additives is another important practice. For maximum terpene and cannabinoid production, grow organically—or as close to pure organic as you can get out of a bottle. While some soil additives were created to serve the cannabis industry and have enticing packaging, there is no conclusive evidence that they boost THC levels, although they may enhance the terpene experience. The same can be said for popular home recipes applied during the flower stage, like sugar water and molasses. Environmental conditions that include variables like temperature, humidity levels, water purity, pH levels and watering schedules—when provided at optimum levels—will all promote optimum plant health and potency. Other variables like CO2 supplementation will help maximize overall yield, but there is no evidence that it improved the quality of the flowers with regard to potent cannabinoid levels. Some growers believe that a longer vegetative stage will maximize THC levels as well as overall yield. Instead of short veg stages to ensure a quick harvest, these growers let their plants grow longer before cutting back the light cycle to cause flowering. The philosophy of “good things take time” definitely applies here. Larger plants with bigger, sturdier branches may grow larger and stickier buds, but no conclusive evidence definitely proves this is the case, just opinion based on anecdotal experience. Regardless of plant size and length of time for vegetative growth, harvest times have a more profound influence on potency. The growers of some strains (lemon skunk is a good example) believe that an earlier harvest will maximize the terpene experience. Lemon skunk harvested a week or two early will have more of a pronounced lemonade flavor. If allowed to mature more, the flavor is still delicious, but more complex, with a skunkier dankness. A harvest time that allows the plants to reach their maximum frosty trichome production will capture the strain’s maximum capability when it comes to THC potency, since trichomes are loaded with cannabinoids like THC and CBD. The higher the trichome level, the higher the THC level. This is part of the reason “sinsemilla” (without seeds) is strongly preferred over seeded cannabis. When pollinated, female plants begin to expend energy producing seeds rather than additional trichomes and terpenes. Heavily seeded flowers are less sticky, flavorful, and potent as a result. To maximize bud quality and flavor, a proper cure will go along way to enhancing potency. Just like good barbecue, “low and slow” is the best method. Lower temperatures and adequate humidity will cause flowers to dry slower. Most cannabis enthusiasts who have grown their own plants have tried quick-cure methods like cooking a small amount to dry it fast. The bud that results—although it will enhance the senses when smoked—will have an acrid, harsh flavor and nowhere near the smoothness and quality a slow cure will capture. No trichome damage occurs with a proper cure, and—just like good barbecue—the flavor is amazing. The numerous cultivation variables touched on here will influence overall plant health and quality. When it comes to maximum potency, none of them are as important as beginning with the best genetics available. Once you have the best genetics, following the best cultivation methods will allow you to grow your plants to their full potential.